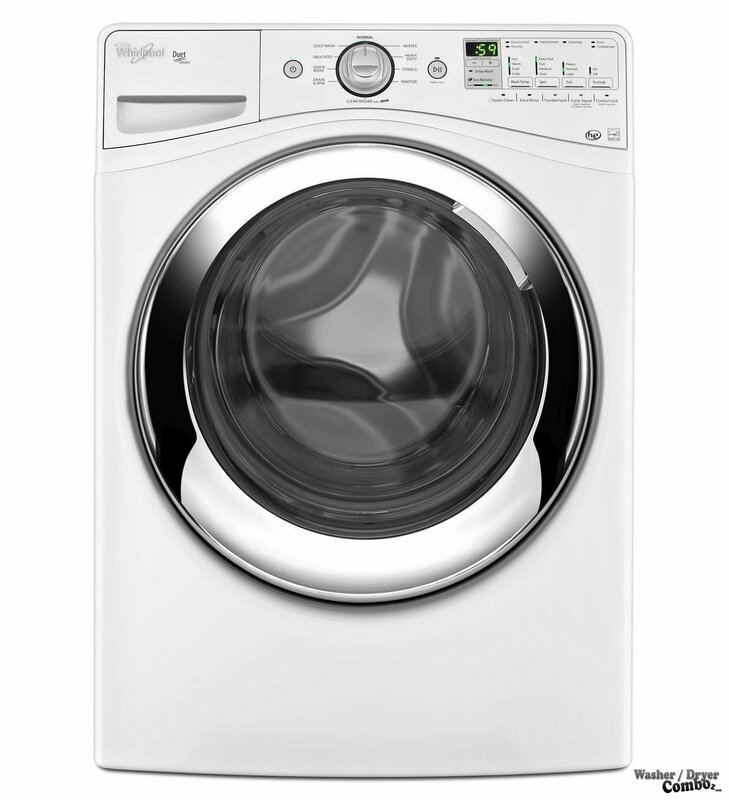 Whirlpool WFW86HEBW Steam Washer 4.1 Cu. Ft.
Whirlpool did a really good job on this unit although I don’t really like the design. There are simply other washers where the design really made an impact. This one looks more less normal and you would expect a classic washer to look like. Apart from that I need to say that Whirlpool can be pretty proud of this model as there are so many satisfied customers out there on the internet posting some nice comments. Let’s look at the specifications now. Capacity (cu.ft. ): 4.1 Cu. Ft. Features: Steam Clean (Penetrates deep into fabric fibers to dissolve stains such as grass from vine, grass or grease without pretreating. 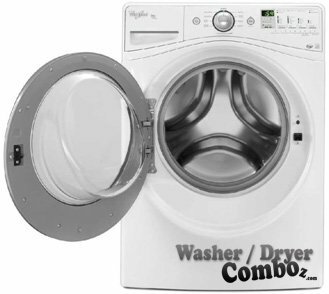 ), Extra Rinse, Tumble Fresh ™(an option that will periodically tumble your wash load at the end of every cycle for up to an option of 6 hours to reduce humidity and ensure faster drying), Delay Wash, Precision Dispense (ensures that all stains are removed by giving it a burst of concentrated detergent), Add Garment (an option to pause your cycle to add a garment), Steaming, and Eco Monitor (an option to set special settings for saving energy). Further you can find here the Sanitize cycle with Steam function, which basically eliminates 99.9% of common household bacteria. Bacteria tested were K. pneumonia, P. aureginosa and S. aureus. – Add-A-Garment Indicator Light, which illuminates for the first 8 minutes of the wash cycle as a convenient reminder that if you happen to have any other items to clean you can still add them to the load in progress. Ratings Electrical Requirements: UL Listed, 120V, 60Hz, 15- or 20- amp, AC only, and fused electrical supply is required. Positives: • capable of some really heavy-duty performance. • a lot of options to save electricity. For example, it can reduce the humidity of newly washed clothes so it won’t spend so much time in the dryer anymore. • It’s very quiet. Even with the tumbling option selected, it is still relatively more quiet compared to other washers on the market. 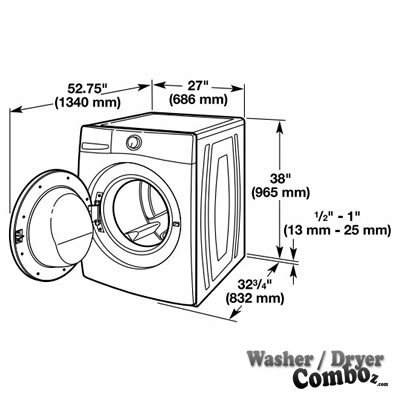 Negatives common to all front-load washers: • Could be hard to install. • Does not work if not installed properly. You would seldom find a negative review about this product. If there are negative reviews however, it is usually because the user himself got the machine broken and they were not able to secure an extended warranty. Conclusion: Overall it’s a reliable, I would call it a classic washer, which does its job pretty good. It doesn’t really stand out with anything and I think that it can be satisfied with the position number 6 on my ranking. I personally wouldn’t buy this model as I think there are better models with a better design and performance. But I understand this is just my point of view, and others could think differently. 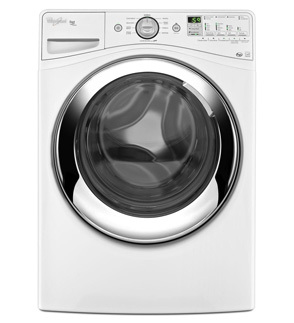 It has all a reliable washer needs to have to take care of daily the laundry of most families.